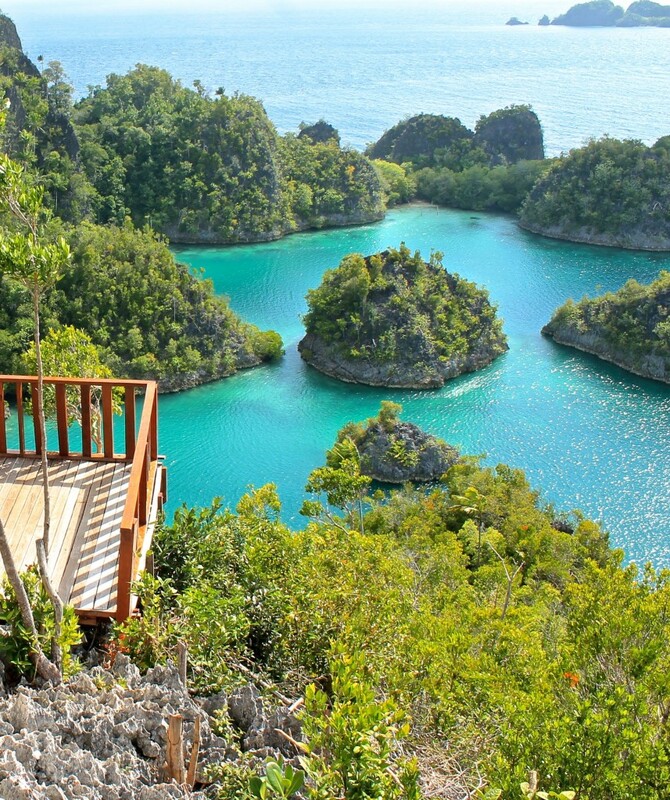 If you have never heard about Raja Ampat in Indonesia you were in the same boat as me. As soon as I had, however, I knew I had to get there pronto. I think the pictures speak loud enough why. What I struggled with planning this trip was the time/cost and trying to find out information about it. It seemed to be too remote and too expensive to be possible on a budget but undeterred I booked a flight, spent a few days texting random phone numbers to try to work out accommodation then headed off to find my paradise. Here’s how you can doRaja Ampat ‘on a budget’ for under £300. That is for a week in paradise, without diving and if you are already in Indonesia… Becoming obvious yet? Yes, this will not fall into the same ‘Budget’ as much of SE Asia, however, the extra dosh is worth every penny. It’s a bit lengthy, but if you are planning a trip I hope this gives you some of the info I couldn’t find. If anyone else has been and has any more up to date budget tips please add into the comments below!. 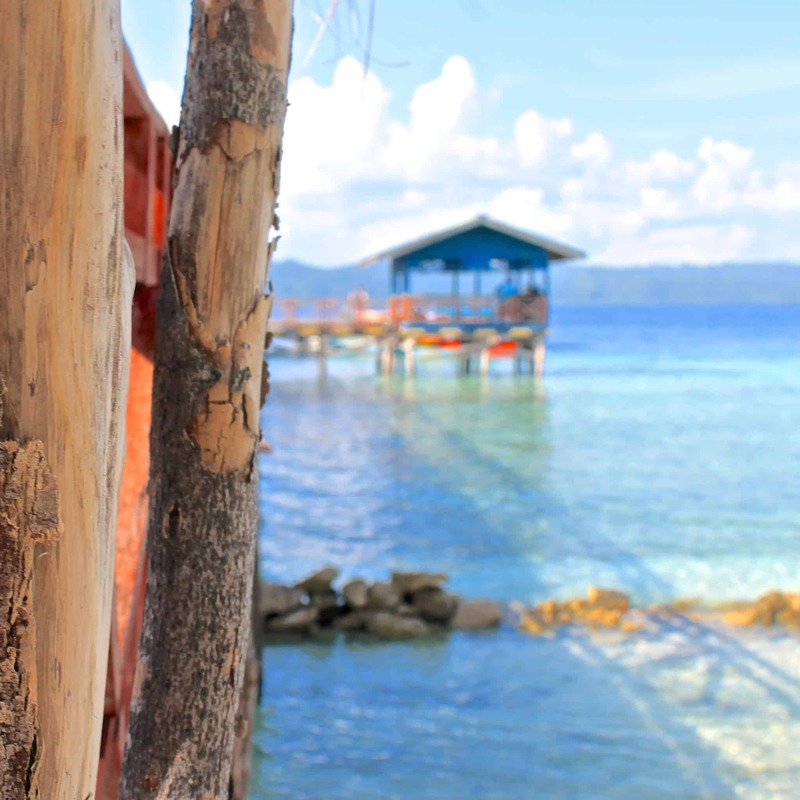 To access Raja Ampat you need to go via Sorong in West Papua. Makassar and Manado airports in Indonesia fly there and you can connect to these from Bali / Jakarta or Singapore easily enough. Garuda, Express Air and Sriwijaya airlines operate flights there. My advice, book in advance. I paid £170 for my flights with Garuda but this was relatively last minute flying from Bali. The ferry from Sorong to Waisia port (on the main island in of Waigeo) takes about two hours and costs 100,000 IDR (10$, £5. This leaves daily at 2 pm (usually 11 am on Saturdays), an additional ferry is usually scheduled for 9 am on Monday/Fridays. The ferry times to return are the same. 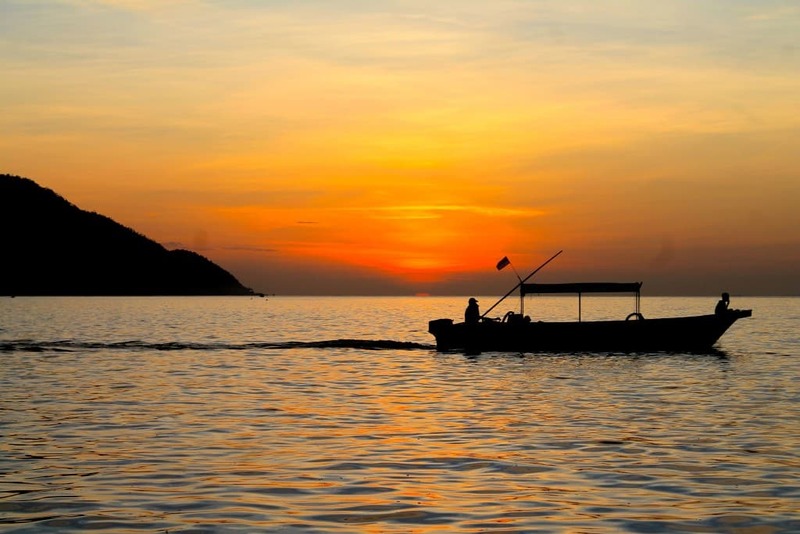 Your home stay will usually pick you up from there and take you to your Island. We stayed on Kri and paid around 80,000 IDR ($8/£4) pp each way to get there. Stating the obvious – if you are coming from outside Indonesia your flight costs are going to be the main killer here. The reality is a lot of the amazing Scuba Diving in Indonesia will involve a few, slightly more expensive flights. Even if you opt to go scuba diving in Wakatobi (another incredibly diverse and rich marine life location) or simply the Gili Islands, getting there is usually going to be a big chunk of the cost. Tip: Trying to tie up the flights and ferry’s is a bit of a challenge. Unless you want to spend a night in Sorong (My advice, don’t) you need to give yourself some time for delays etc. This will probably mean arriving a good few hours before the flight/ferry so head to the hotel opposite the airport for some food and wifi to kill time. Following a four hour period of being detained in Immigration (even if you are flying domestic and have a Kitas/Driving license etc you must show a passport in Papua) we ended up staying the night and spending around £50 for a basic hotel room for 3 people. The only real accommodation on most the Islands are huts at home stays. These can range from ‘Luxury’ eco resorts to more basic accommodation. The main Island of Waigeo also has a few concrete accommodations. We stayed at Yenkoranu dive resort on Kri. As there was 3 of us we paid for a larger private hut with an extra bed for 1million IDR per night ($100/£50). 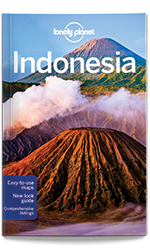 Grab the print or e-book before you travel to Indonesia. If you are two people you can stay in one of the basic shared huts for as little as 200,000 IDR each ($20/£10) per night. This also includes three meals a day so is great value! Visit the website for contact details. We found texting the easiest communication. As internet signal and phone signal is limited don’t be surprised if it takes a day or two and even then you only confirmation is a text message saying ‘Ok. Pick up Tuesday’. It’s all part of the adventure. A simple one really. If there are no shops, there are no other expenses. Our accommodation rate included all our food so it was pretty impossible to go over our planned budget. Beer (Large tin Bintang) costs around 50,000 IDR ($5/£2.50) on the Island and is probably going to be warm for sunset after a day of no power on. As a true brit, we planned a head and brought some from Sorong with us to save. The only place I had seen photos this beautiful in SE Asia before was El Nido Palawan, another paradise you can’t miss on this side of the world. Trips around the Islands are probably going to be your biggest expense and costs will vary depending on where you stay. Wayag ended up being out of budget on our trip as we were so far away. The cost of fuel is high here hence the price. From Kri Island where we stayed, this was the cost per person of each trip based on 8 people on the boat. A smaller version of the famous Wayag view. We also dived Fam Wall here (extra cost) which we weren’t too impressed with. Mellisa’s Garden is meant to be a great dive site here but alas the current wasn’t on out side. We stopped at beautiful beaches to eat, visited the Island of Arborek (My favourite!) and snorkelled there where a ball of Sardines were already waiting under the pier and found a shop! Manta Sandy is on the way back and in seasons you can snorkel here and watch them all float below. Its around 2 hours each way and we left just after Sunrise and back before Sunset. Wayag: The famous ‘view’ of all the beautiful green covered rocks sticking out the water would have set us back around 2million ($200/£100) though would be cheaper from the main Island. In the end, the boat wasn’t full so the cost would have shot up for everyone else planning to go. It was also a 5 hours trip each way with only a few hours in Wayag to snorkel and do the trek to the viewpoint. It’s on my list for next time now I know how to go around it. The best time to visit for Diving is around Nov/Dec when the Mantas head to the cleaning stations and Orca whales can be seen. Dolphins swimming past the boat is no surprise either. At out home stay we paid 350,000 IDR per dive ($35/£18) with our own equipment, it was 450,000 for those hiring equipment. The local dive sites around Kri were brilliant and included the boat and a guide with 4/5 divers per group. To go further afield additional fuel costs need to be added on. Cape Kri on Kri island was the most incredible dive of my life – it has according to some surveys the most diverse marine wildlife in the world. Warning: The currents here can be crazy. I had my first out of air experience at 33 metres after getting sucked into a down current only 16 minutes into a diver. Im an PADI advanced diver however I have never experienced full on current dives. There are also some calm dive sites here and the current changes regularly but my advise: bring a reef hook and try and get some current experience before heading here. Snorkelling is another incredible option here. From the house reef of our home stay at the end of the pier, we had schools of fish, turtles and reef sharks swimming around you. It was honestly better than much of the diving I have done in my life. Getting there: Boats: Another route of getting around the larger islands and saving big bucks are the Pelino ferrys. These big boats can take a day to get between destinations and usually leave once every few weeks but can be dirt cheap and great to hang out with local life – visit www.pelni.co.id for timetables and bookings (Side note: The waters around Indonesia can be crazy and it’s not unheard of for boats to regularly sink or go missing though these bigger ferrys are generally seen as pretty safe). Electric: Expect on many of the smaller Islands to be running on a generator, potential having electric as little a day as from Sunset to 1 am, though many runs throughout the night. Phone Signal: Limited, I had no internet and some times no signal so enjoy the peace and silent of no outside world! 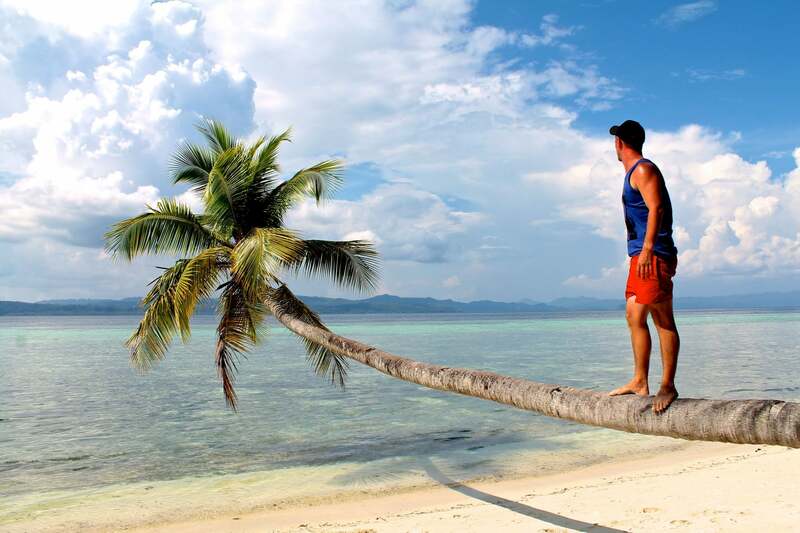 Raja Ampat Indonesia is a true paradise, I just hope it stays that way! Hi Dan, was it easy to find people on the island to share a boat with? I was thinking of visiting piaynemo for a day. We got lucky but not to the extent enough people wanted to do Piaynemo, but I think it just depends on how many people stay at the time and if they want to spend that money too. 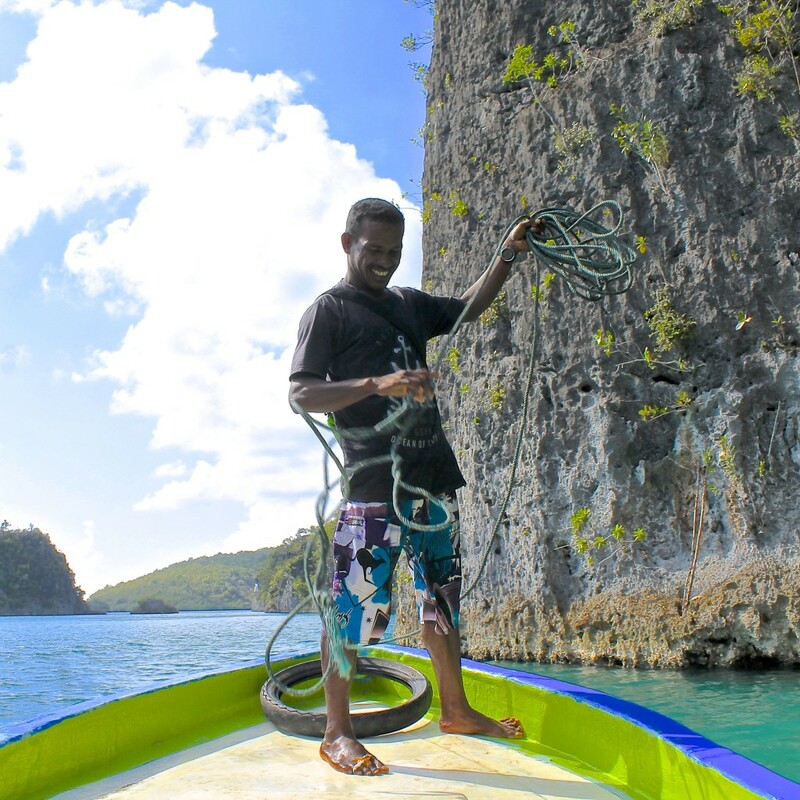 Awesome post, wish I had read it before I went to Raja Ampat (returned a few days ago). The only thing I would add is that homestays – at least on the main island of Waigeo – are expensive. My brother and I stayed at one the night before joining our liveaboard, called Cormansiwin, and although the people were lovely, the room really wasn’t, and the bathroom was pretty filthy. I don’t mind that, I’m used to backpacking around, but its the equivalent standard of a $2-3 cocohut on a beach in Goa (India), whereas we were charged about $50. We had two nights to kill after our liveaboard, so stayed at Alter Native homestay, which is also on Waigeo, near Waisai. They charged us $70 a night for twin beds with a mosquito net. The place was nicer, but still very basic, and terrible value for money. Not sure if the other islands are cheaper, but it was pretty frustrating. On the upside, the sunrises and sunsets are unbeatable! Thank you. When I was in Ampat local dives the boat was included and you pay the dives but once a long way away you had to pay both. Nice work, we are also in the same field. Thanks …. We want to share that semi liveaboard boat Bima Amanta Explorer is also good transportation for 7d6n trip around raja ampat islands. Those looks great, would love to try it some day! Wow – though I was expecting it soon enough. Thank you for letting me know, I have put an update in. Hope you had a great time there! Are you willing to chat a bit more about Yenkoranu? Unfortunately I won’t be of any help either. Had a quick look into it, and yes it is very far, you need to allow yourself heaps of time if you wanna go around and as far as Wasai I reckon. Anyway, 11 days were great, I could stay more … What a paradise, unreal ! Ahh, shame. I thought it might have got a little bit easier given all the promotion the tourism board are doing for it as a destination. Glad you had a great time though, your photos are beautiful. Currently in Jayapura, I just crossed the border from Papua New Guinea. Great article, very helpful while I’m organising the trip in West Papua. Do you have more details about the Wayag view please. You wrote, it’s cheaper from the mainland. If not, nevermind, just in case if you already know the way to go. 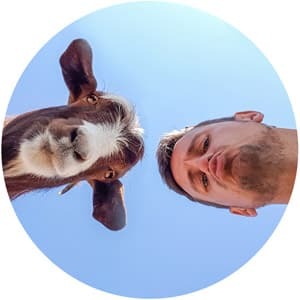 Great website, well done ! Love this post. I am planning my first backpacking trip in SEA including Indonesia. I finished my PADI Advanced this summer and so naturally Raja Ampat came up in my research. Like you said it originally seemed out of the range of my budget, but this is encouraging. Thanks! Wow! It really is a must do, you will have the best time the diving is out of this world. Any questions etc just drop me an email!